U.S. 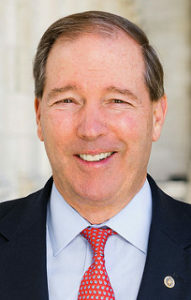 Senator Tom Udall (D-NM) will address the Next Generation Water Summit on May 1st in Santa Fe, NM. His keynote address will begin at 8:15 am at the Santa Fe Community Convention Center. Senator Udall began serving as U.S. Senator from New Mexico in 2009, after two decades of public service as U.S. Representative and State Attorney General. As a member of the U.S. House of Representatives, he wrote and passed legislation to establish a national renewable electricity standard, which spurred the creation of good jobs, reinvigorated the economy, and reduced global warming emissions. Energy has been a priority of Udall’s career in Washington, with water becoming more and more important due to population growth and changing climate patterns in the Southwest. “In New Mexico, we know that water is life – and we know that we don’t have water to waste. I’m grateful for the essential work being done across our state to encourage conservation and innovation, and Santa Fe is the perfect place to bring together stakeholders to chart a more sustainable path forward at the Next Generation Water Summit. Together, we can find solutions to secure New Mexico’s water future, as well as the rest of the West,” Senator Udall recently stated. The Summit is being held April 29 – May 1, 2018. This unique water and water reuse event will feature builders presenting on Net Zero Water Houses and Near Net Zero Water houses. These Southwestern builders will also address both how and why reducing water consumption is the right thing to do to sustain the homebuilding industry in the Southwest. Finally, water professionals from Arizona, California, Colorado, New Mexico, Nevada, Texas, and Utah will discuss and collaborate on distinctive conservation and reuse initiatives within their states. A limited number of attendees will also be able to register for one of two charrettes. The charrettes are a new feature at this year’s Summit, with only 80 total slots available. The professionally moderated, half-day charrettes will take place on Tuesday, May 1. White papers will be produced and distributed to all Summit attendees, not just those who participate in the charrettes. Prospective attendees will not want to delay registering for this rare opportunity. Early bird registration expires on March 22. For more information on the rest of the Summit, please visit www.NextGenerationWaterSummit.com. Hosts of the Next Generation Water Summit include the Santa Fe Green Chamber of Commerce, Green Builder® Coalition, City of Santa Fe, the Santa Fe Area Home Builders Association, and The Alliance for Water Efficiency. Major sponsors include Vulcan, a Paul G. Allen Company; and Uponor. Santa Fe Community College is the official education sponsor, and Green Builder® Media is the national media partner. The Next Generation Water Summit brings together the building and development community, water reuse professionals and water policymakers in a collaborative setting to share best practices and learn about innovative water conservation and water reuse techniques that can be used to comply with water conservation restrictions spreading across the southwest. A limited number of attendees will be able to register for one of two charrettes at the upcoming Next Generation Water Summit. The charrettes are a new feature at this year’s Summit, with only 80 total slots available. The professionally moderated, half-day charrettes will take place on Tuesday, May 1. White papers will be produced and distributed to all Summit attendees, not just those who participate in the charrettes. The first charrette will try to solve a hypothetical challenge: How to implement a mandated 50% reduction in urban water usage without crippling the building industry. Aimed at the building community, this discussion will utilize a diverse set of perspectives in order to entertain a complete examination of this challenge. A few of the attendees scheduled to participate include: Darrel McMaster, Founder, Sustainable Homes, Inc. (Texas); Mike Collignon, Executive Director, Green Builder® Coalition; Darrell Lehman, President & CEO, Triconic, LLC; and Kim Shanahan, Executive Director, Santa Fe Area Home Builders Association. The second charrette will compile best water reuse practices and mistakes in the southwest. As many in the water industry know, alternate water sources (i.e. rainwater, greywater, blackwater and stormwater) are often managed by different entities, and practices can vary from state to state. This charrette will bring together state experts from Arizona, California, Colorado, New Mexico, Nevada, Texas and Utah to share ideas and find common paths to success. A few of the attendees scheduled to participate include: Dr. Robert Mace, Chief Water Policy Officer, Meadows Center for Water and the Environment at Texas State University; Doug Pushard, Founder, HarvestH2o; Peter Mayer, Principal and Founder, WaterDM; and Carol M. Ward-Morris, Assistant Director, Arizona Municipal Water Users Association. Prospective attendees will not want to delay registering for this unique opportunity, as seats are limited. Early bird registration expires on March 7, so people are encouraged to sign up now. For more information on the rest of the Summit, please visit www.NextGenerationWaterSummit.com. Hosts of the Next Generation Water Summit will be the Santa Fe Green Chamber of Commerce, Green Builder® Coalition, City of Santa Fe, the Alliance for Water Efficiency and the Santa Fe Area Home Builders Association. Santa Fe Community College is the official education sponsor, and Green Builder® Media is the national media partner. Santa Fe Community College (SFCC) announced its partnership with the 2018 Next Generation Water Summit. As the education partner for the Summit, SFCC will host several water education workshops before and after the Summit, scheduled April 29 through May 1 at the Santa Fe Community Convention Center. The workshops include: Greywater Basics, Rainwater Accredited Professional (ARCSA AP) Class, Water Efficiency Rating Score and Commercial Water Auditing, among others. This is the first time several of these courses will be presented in New Mexico and are open to professionals and students. All courses will be held at Santa Fe Community College, 6401 Richards Ave. For detailed information about the courses and to register, visit: https://www.energysmartacademy.com/water.html or call 505-428-1866. Information about the 2018 Next Generation Water Summit can be found at: www.NextGenerationWaterSummit.com. The Water Efficiency Rating Score (WERS)® Verifier course, April 25 through 27, provides in-depth and practical experience in performing residential water assessments for new and existing homes. This class is required to become a WERS Verifier. The WERS Consultant course, April 25 and 26, is also being offered and plumbers, builders, irrigation professionals and water reuse professionals are eligible to attend this professional designation course. Greywater Basics, April 26 and 27, will cover how to build and maintain a Greywater system and includes a field trip to view working systems. The Rainwater Accredited Professional (ARCSA AP) Class, May 2 and 3, is an in-depth rainwater harvesting workshop required for those seeking a better understanding of rainwater catchment systems. The course tuition includes an ARCSA Rain Harvesting Planning Manual. Commercial Water Auditing, May 2 and 3, will cover the basics of performing a commercial water audit for many type of facilities. A sample audit will be performed as part of the class. For more than 30 years, Santa Fe Community College has been the gateway to success for individuals and the community by providing affordable, high quality educational programs that serve the social, cultural, technological and economic needs of a diverse community. SFCC is designated a ”Best for Vets” and a “2015 Military Friendly” school. The college serves more than 15,000 students per year in its credit, noncredit and adult programs. For further information, visit sfcc.edu or call 505-428-1000. Follow us: SFCC on Facebook, SFCC on Twitter, SFCC on LinkedIn. The Next Generation Water Summit (NGWS) 2018 will host the 2nd annual regional forum, featuring globally recognized climate researcher and Nobel Prize winner, Jonathan Overpeck. The NGWS 2018 takes place on April 29th – May 1st at the Santa Fe Community Convention Center in Santa Fe, New Mexico. The Next Generation Water Summit brings together developers, builders, architects, and water professionals to share best practices and learn on the best water conservation and water reuse practices from around the southwest. Overpeck’s visionary work has been at the forefront of the heated climate change public debates and identifying the risks to managing water resources, providing valuable insights into past climate variability and change in the Southwest. He will present on the Climate Change forecasted impact to the Colorado River flows. The Colorado River Basin covers nearly 246,000 square miles, including parts of the seven “basin States” of Arizona, California, Colorado, Nevada, New Mexico, Utah, and Wyoming and flows into Mexico. The river is the life blood of the Southwest and supplies water to more than 30 million people and irrigates nearly 4 million acres. “The Next Generation Water Summit is the only event that brings together water, building and land use professionals from the Southwest to collaborate on water reuse and sustainability strategies that are vital to protecting the west’s most vulnerable resource – water,” said Mike Collignon, executive director of the Green Builder Coalition. 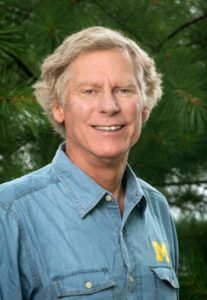 “Peck”, as he prefers to be called, is currently the inaugural dean of the University of Michigan (U-M) School for Environment and Sustainability. He previously served as the director of the Institute of the Environment at the University of Arizona. He has published more than 200 works in climate change and the environmental sciences and was one of the lead authors on the report on the Intergovernmental Panel on Climate Change, which shared the 2007 Nobel Prize with former Vice President Al Gore. Attendees can register and learn more about other announced speakers at www.NextGenerationWaterSummit.com. Registration includes admittance to the keynote speakers, any educational session and breakfast and lunch on April 30 and May 1. Leisure activities include a white-water rafting trip on the Rio Grande (additional fee) and a treasure hunt along the Margarita Trail. NGWS sponsors and partners include the Santa Fe Green Chamber of Commerce, Green Builder® Coalition, City of Santa Fe, the Santa Fe Area Home Builders Association, and The Alliance for Water Efficiency. Santa Fe Community College is the official education sponsor. Make plans now to attend the 2018 Next Generation Water Summit. It will return to the Santa Fe Community Convention Center in Santa Fe, NM on April 29, 30 and May 1, 2018. Sunday, April 29th will once again be open to the general public. The professional sessions will be held on Monday, April 30th and Tuesday, May 1st. Sponsorships and exhibit booths will be available once again. More details to come, so stay tuned to this space! Make plans now to attend the 2018 Next Generation Water Summit. It will return to the Santa Fe Convention Center in Santa Fe, NM on April 29, 30 and May 1, 2018. Sunday, April 29th will once again be free and open to the general public. The professional sessions will be held on Monday, April 30th and Tuesday, May 1st.